1.To get Demi Lovato's hairstyle, spray a root lifting spray onto damp hair. 2.Rough dry your hair, then part it naturally. 3. Run a flat iron lightly through hair to smooth over any leftover curls. 4.Use a styling cream to create a piece-y look, pushing hair back behind your ears. 5.Finish with a flexible hold hairspray. 1. To get Katy Perry’s hairstyle, start by applying a shine serum to damp hair. Make a middle part in your hair, and then blow dry with a paddle brush. 2. Mist your hair with a heat protectant. Next, use a flat iron to straighten your hair. 3. Run a bit of gel through the crown of your hair and brush it into a low, tight ponytail. 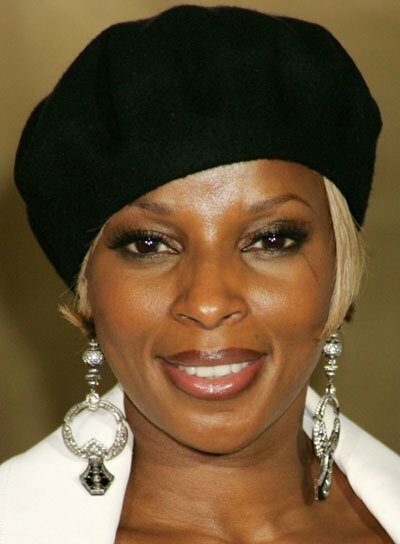 Mary J. Blige's sophisticated bob is great to pair with cute accessories. What to do: 1. Blow dry hair straight and tuck it behind your ear on one side. 2. Top off the look with a slouchy hat and dangly earrings to match. Kirsten Dunst's jaw-length cut gives fine hair instant volume and swingy-ness. To get her look: 1. Mist setting spray liberally onto damp hair. Concentrate on the roots and comb through.2. Blow dry with an oval boar and nylon bristle brush. Lift sections of hair on top of your head and aim the airflow at your roots. 3. On the sides, aim the dryer's airflow toward your face, so hair flows forward. Curve the ends under.4. 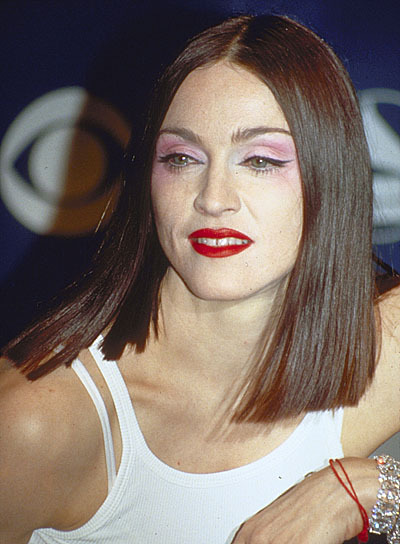 Make a side part and tuck hair behind one ear -- then knock 'em dead. 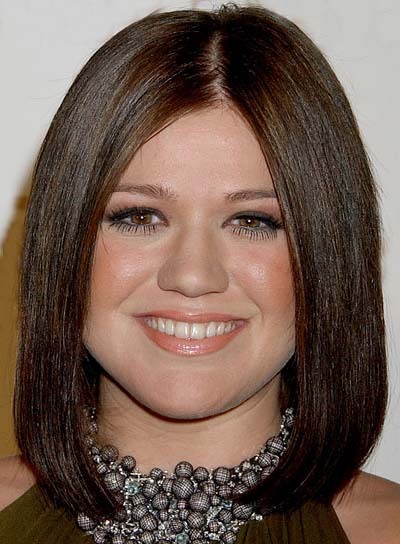 Hilary Duff's blunt ends, super straight strands, and bangs look sleek and chic. Get the look:1. Start by applying a smoothing cream to damp hair, then blow dry straight using a paddle brush. Switch to a vent brush to dry bangs forward and straight. 2. Next, smooth 2-inch sections of hair using a straightening iron. 3. Rub a shine serum between palms then comb through hair with your hands to distribute.